A father sent an abusive Facebook message to the man who gave evidence against his son in court wishing him “chronic pain”. A warning has been issued over a fake Domino's Pizza Facebook page. Little chefs at an Aberdeen primary school rose to the challenge of pizza lessons as part of a new cookery workshop. A new pizza restaurant is set to open its doors in an Aberdeen shopping centre tomorrow. Great value two-course meal that left us both satisfied and stuffed. 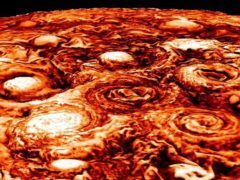 For the first time in history, we can see in incredible, glorious detail the storms that rage on Jupiter, thanks to Nasa’s Juno mission. We have 4 fabulous vouchers for a meal for two at Nick Nairn's Pizza Bar & Cafe up for grabs. He may be best known for creating outstanding pizzas in Aberdeen city centre, but this pizzaiolo has a hidden talent for art. A frosty Sunday calls for a belly full of potatoes and the suggestion of a pub lunch by my boyfriend was music to my ears. 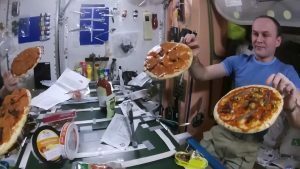 These astronauts made pizza in space – but how did it taste? If you’re away on a long trip you can really start to crave a taste of home – and that’s exactly what happened to astronaut Paolo Nespoli‏. 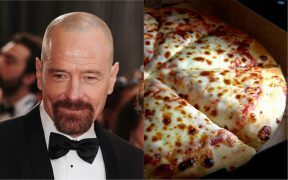 The real-life owners of the house from Breaking Bad are building a six-foot high fence to stop people throwing pizza on their roof. Three eaterys in the Granite City have reached the final stage of awards celebrating Scottish Italian food. What makes the perfect pizza? Ever since Iceland’s president revealed he would ban pineapple as a topping if he could, the tricky topic has been debated even more than usual. A popular European President has declared he would ban pineapple on pizza - if only he had the power. A former pizza restaurant worker has been ordered to carry out unpaid work after hitting a colleague – in a row sparked by sauce. In a contentious world with everyone clashing over different issues and hot topics, it feels like there is only one constant. Yes, we’re talking about pizza. Pizza has the power to unite in an often confusing and turbulent world. Waiting for a takeaway to arrive is a tense time. You pace around the room, you check your watch, you may even find yourself seeing things as hunger gets the better of you. AN ABERDEEN man is hoping to grab a slice of the food market – and help those in need.